I’ve already made it to the top of the 40th floor and dined at Duck & Waffle. Now it was time for me to head over to Sushisamba. It was a colleague leaving party and I had a day off. 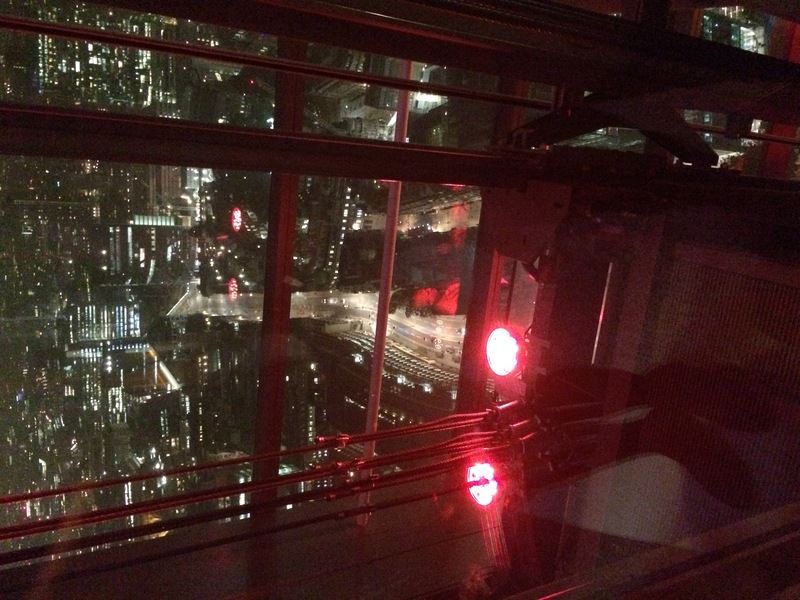 I made my way to Heron Tower on a Friday night and the queues form. Ladies and gentleman all dressed up ready to let their hair down on a summer night. The familiar whoosh feeling of ascending the air right to the top going to the 38th floor, as the bell ding and opened it doors. I hurried over to the spiraling stairs and went down to the terrace bar, a small little square overlooking the beautiful London skyline with heaters to keep us punters warm. As it was a Friday night the crowd started to become a herd, I met up with the girl that was leaving and got a corner section. As the rest of the people came, we ordered cocktails and champagne. I don’t remembered what we exactly ordered but the drinks were very decent and lasted the whole night. 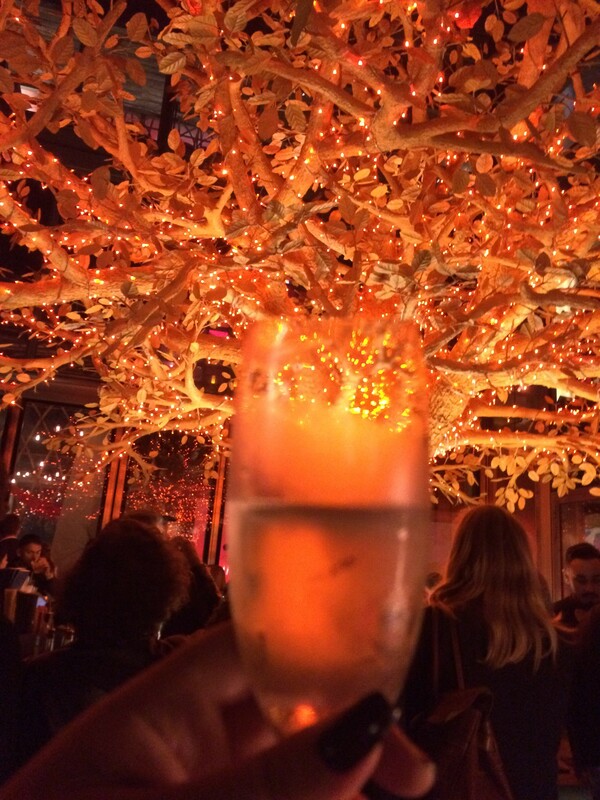 As the night darken the tree by the bar lit up and sparkle like Christmas. As we started to feel peckish we ordered some samba rolls and OMG it tasted amazing. SÃO PAULO looked like a colourful caterpillar, nine pieces of big size rainbow roll. Each piece salmon stuffed inside, but the top had different slices of fish like, scallop, masago, tuna, shrimp, white fish, truffle, etc. Fish, tasted so fresh, combined with chive oil and hatcho miso soy it was HEAVEN. Sushisamba is a blend of Japanese, Brazilian, and Peruvian cuisine, and it shows in the music and design. Go online to their website and lounge away to the bossa nova music. I love the current playlist of Monica Da Silva music from the Brasilssima album. I had a fantastic night mainly drinking at Sushisamba, the crowd, we even met a stranger who handed us the food menu with his mobile number on it. We call him smooth operator. I’m defiantly coming back for another meal and more drinks. 🙂 sushisamba was good! 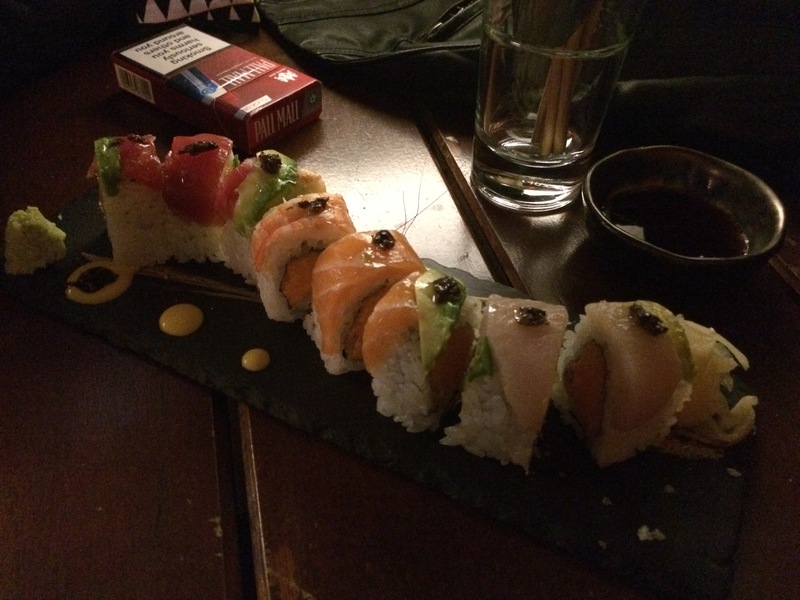 The sushi was amazing! Sounds lovely. Why, when my work colleagues move on, do they never take me somewhere so spectacular? All the leaving parties I’ve been to were ground level. Boo! :p its a perfect venue for the summer and if it gets chilly theres heaters and blankets.